One themed-train has been launched on each of the two lines which make-up the metro in the Belarus capital. 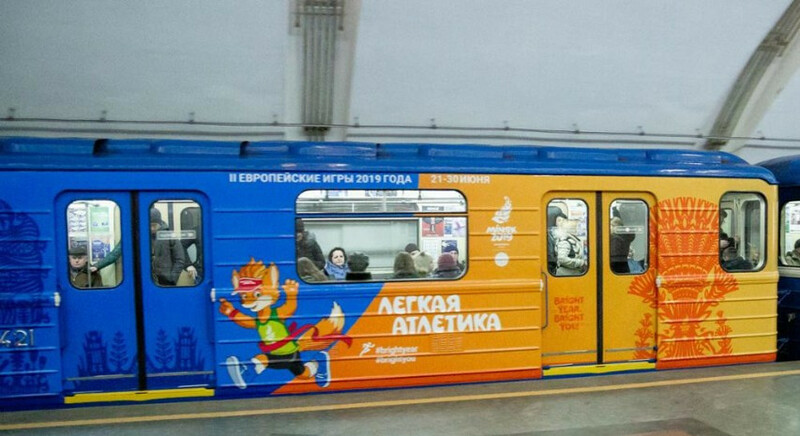 Mascot Lesik the Fox features prominently on the carriages, wearing various sporting outfits. The logo of the European Games, the official website address and the official hashtags are also included. Stickers including information about the second edition of the Games have been placed in the carriages, while multimedia screens on board will play promotional videos. Screens have also been set-up at stations to show Games-content. The Minsk Metro will be a key way of getting around for visitors to the Games between June 21 and 30. More than 4,000 athletes are due to compete at Minsk 2019, which follows the inaugural edition of the European Games in Baku in Azerbaijan in 2015. A total of 15 sports are due to be held in Minsk. Competitions in eight sports will be qualifiers for the Tokyo 2020 Summer Olympics.